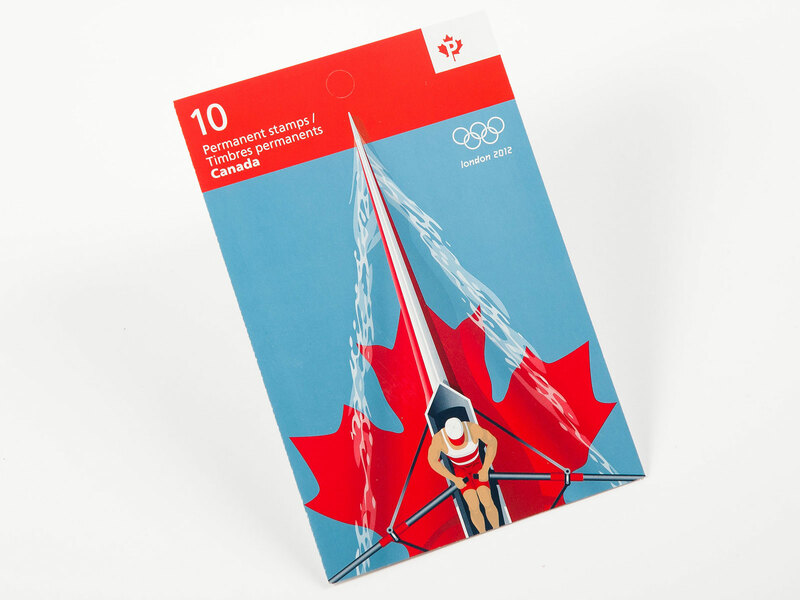 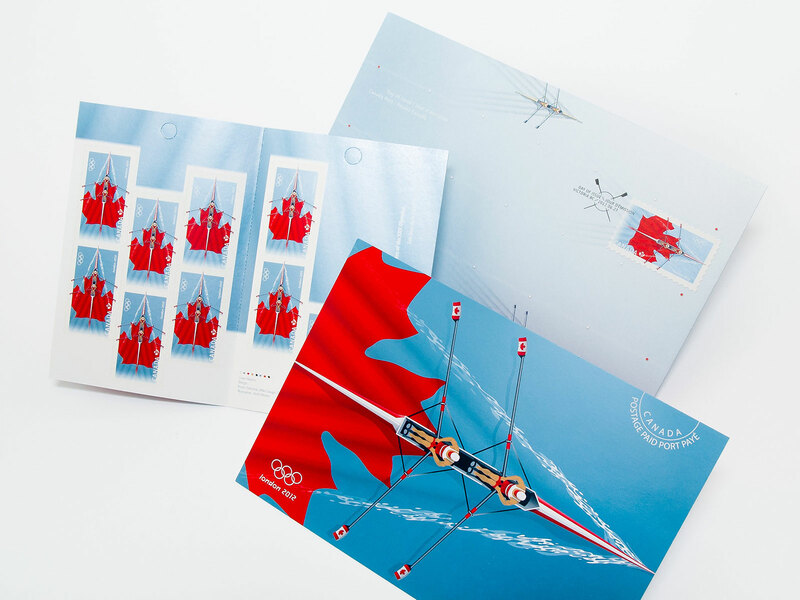 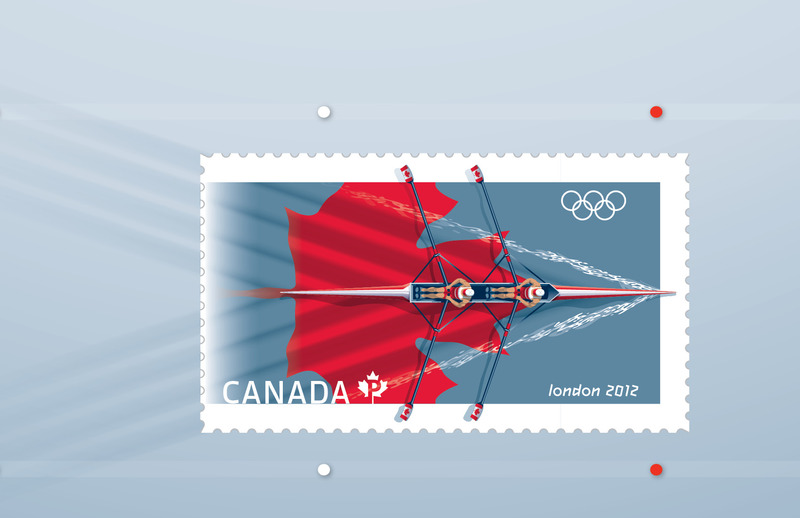 The stamp highlights the dynamic sport of rowing; a selection based on the consistent excellence displayed by the Canadian team. 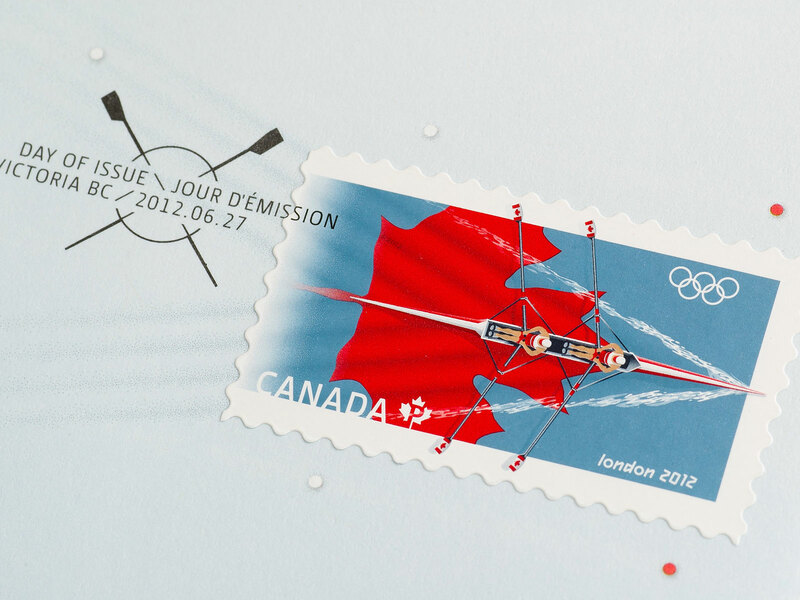 Designed by Kosta Tsetsekas and Mike Savage, and illustrated by Keith Martin, the stamp features a double-scull boat gliding over a sheet of water for the London 2012 Olympic Games. 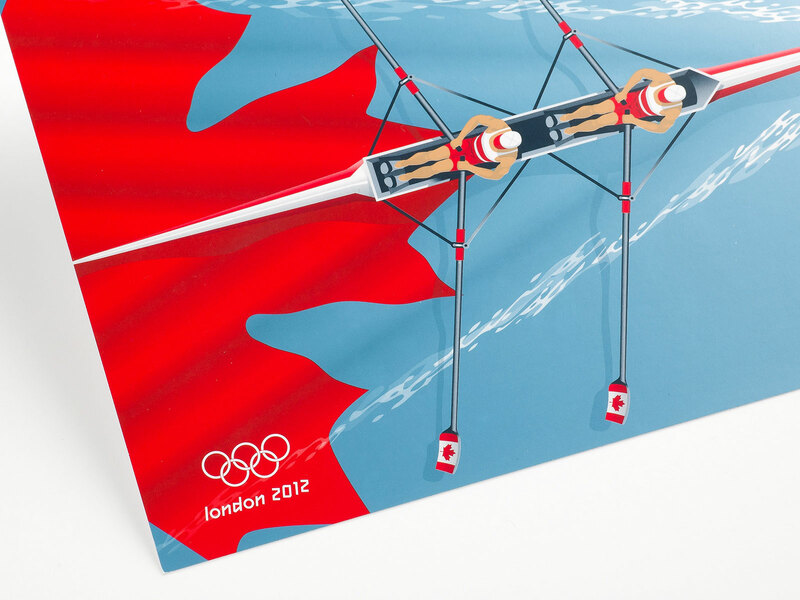 The boat appears to create its own wake as it moves, pushing out over the blue edge as if to show it crossing the finish line. 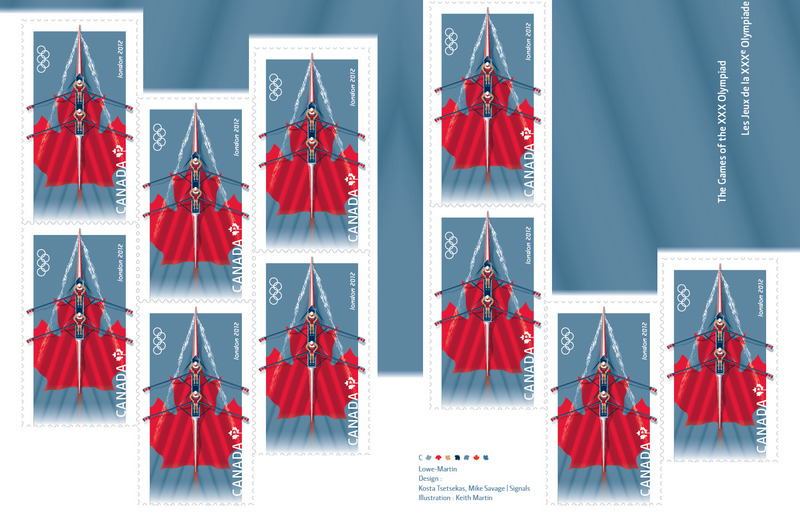 The stamp measures 40 mm x 24 mm with 13+ perforations and is printed by Lowe-Martin on Tullis Russell paper using lithography in seven colours. 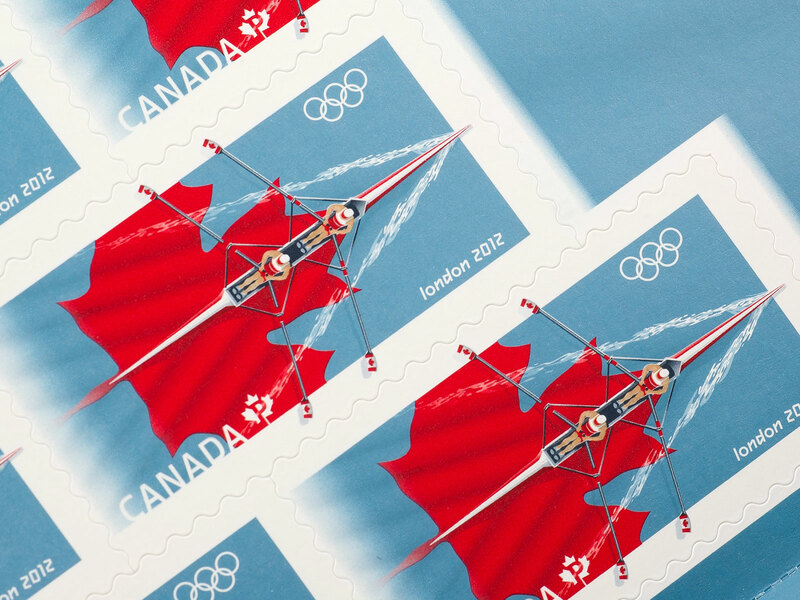 The metallic ink was used to enhance the ripples in the water so it creates the illusion of movement as light plays across the surface of the stamp.